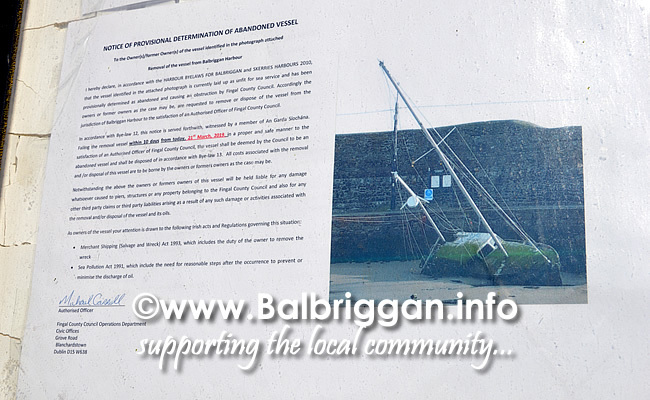 Back in March 2018, a number of boats along the lighthouse pier succumbed to the large volumes of water coming over the harbour wall and sunk. 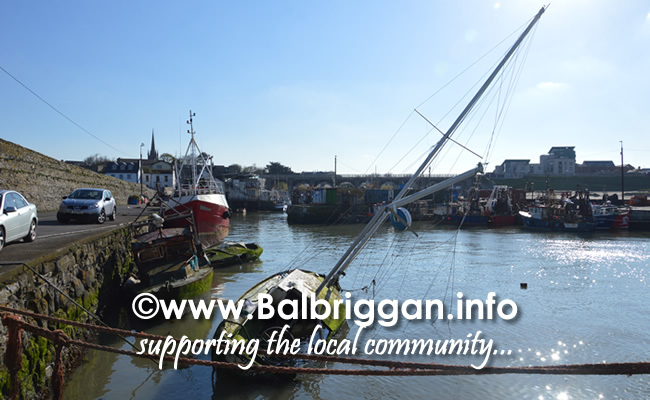 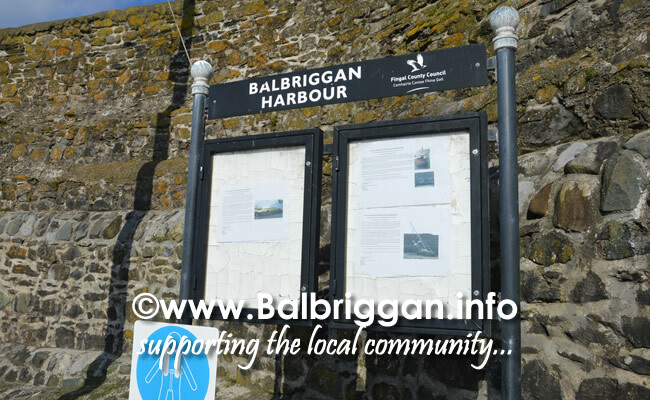 The boats have remained in the harbour since that day and on 21st March 2019 Fingal County Council issued Notice of Provisional Determination of Abandoned vessel on the 3 boats. 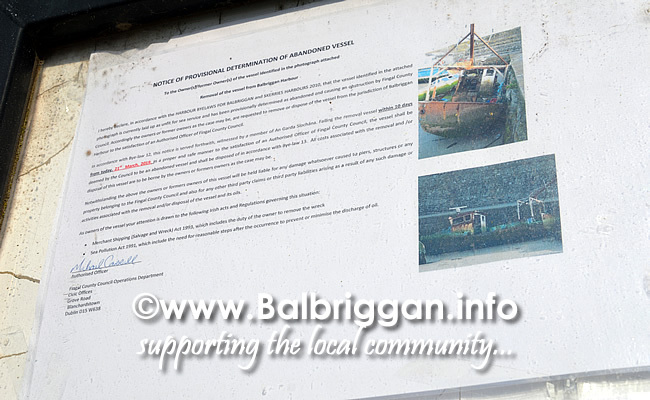 The notices can be seen in the noticeboard directly beside the sunken boats.